MVPS Review 2019: Is MVPS a Good Hosting? The clue is in the name. MVPS only offers VPS plans, so there’s no shared hosting to be found here. The plans are priced low, but they come with limited support and no guarantees other than uptime. 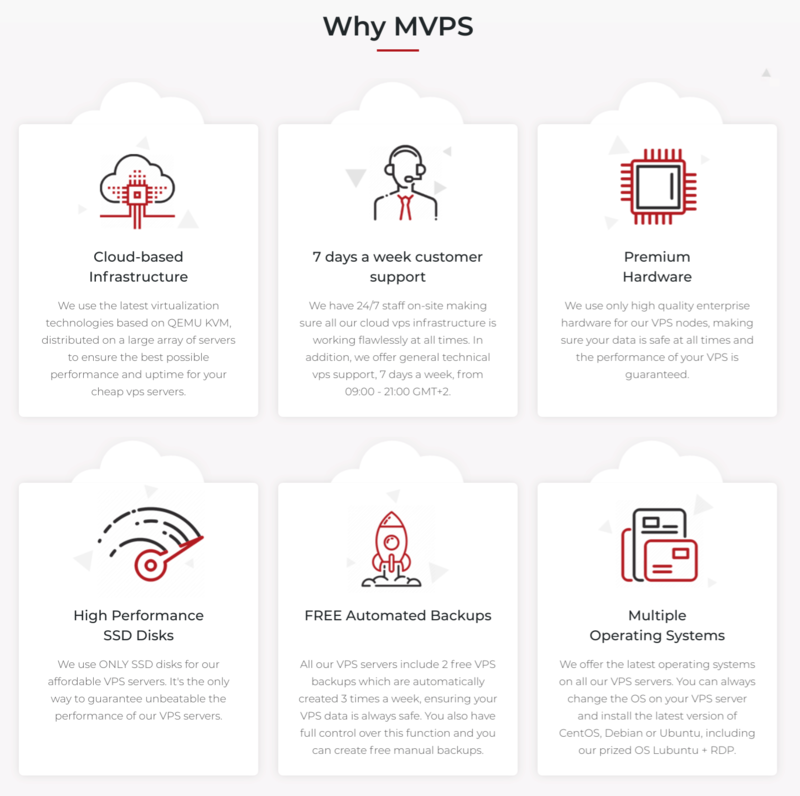 Founded in 2018, MVPS is a young company that specializes in virtual private server (VPS) plans. During its short time in business, MVPS has attracted an army of followers due to its dedication to offering secure, reliable, and high-performance VPS solutions. This is reflected in its customers’ online reviews. This company is based in Cyprus and uses servers located in the Netherlands, Germany, and France. The MVPS website is in English. As its name implies, MVPS offers only VPS solutions. Four VPS plans allow customers to choose their preferred operating system and server location at the point of purchase. Customers have full control over the automatic backups, to choose when they should happen during the week. You can disable automatic backups through the server control panel, and take manual backups instead if you wish. You can choose one of the cPanel plans if you want this control panel from the start, or you can select a standard VPS plan and install cPanel yourself (or ask the MVPS to do it for a fee). You can install WordPress for free. MVPS uses the QEMU KVM virtualizer that is distributed on a vast array of servers to provide customers with a rich virtualization experience. This helps maintain the 99.98% uptime guarantee, and the use of SSDs assures high server performance. In terms of security, MVPS servers have DDoS protection built in. MVPS offers low-cost VPS plans. You don’t get the free domain and SSL that you would typically get with shared web hosting, but the prices are good for the VPS features you get. You can pay monthly, six-monthly, or yearly, with 10% and 20% discounts (respectively) on the two longer term lengths. There is no money-back guarantee, but the refund policy states that you can request a refund within three days of making your payment. But you might not get a refund due to the bandwidth you used during the period. The MVPS customer support team is available from 9 am to 9 pm (GMT+2). There’s no chat support, and the phone number on the website is only for sales support. 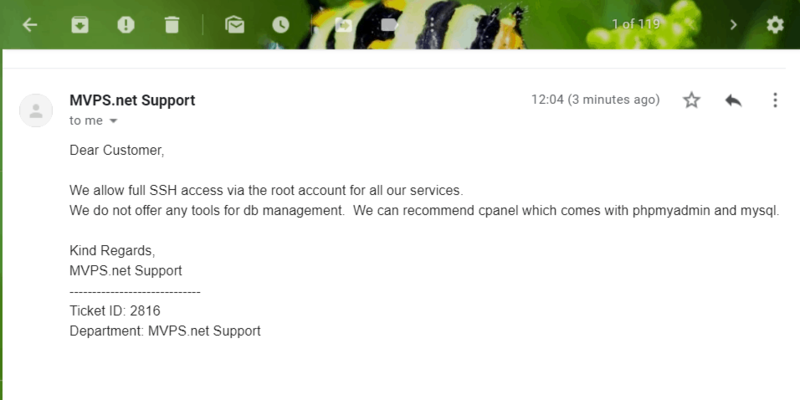 There’s also no knowledge base for self-support, but this is not unusual for a VPS provider that doesn’t offer self-service shared hosting plans. MVPS is a strong contender if you’re looking for a European VPS. However, if you’re looking for self-service shared hosting plans to purchase entirely online, and you want round-the-clock support, then you should look somewhere else. Make MVPS your European VPS provider. Wondering how MVPS stacks up against other Web Hosting companies? Enter any other Web Hosting company and we will give you a side-by-side comparison.